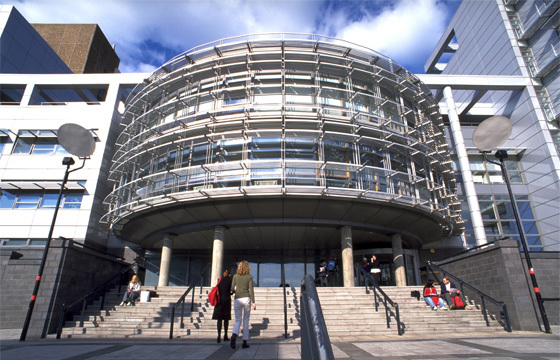 We provide high-quality education for a fair price; as the University for the Common Good, Glasgow Caledonian University are committed to offering accessible higher education for talented students by keeping our tuition fees low and providing a generous scholarship package of over 2.5 million pound per year. Scotland has so much to offer as a study destination and for successful undergraduate applicants from England, Wales and Northern Ireland The Common Good Scholarship provides fee waiver and cashback support to the value of 15K pound. Glasgow Caledonian University are pleased to offer scholarships for students who currently have an asylum case pending or dependants whose parents have an asylum case ongoing which will cover the cost of tuition fees for the duration of you Undergraduate studies and also provide a bursary to assist with study/living costs of 1,250 pound per year. 4,000 pound towards full-time undergraduate study for successful international applicants new to the University. 5% off fees over 5,000 pound when you pay in full prior to the first day of term. International students only. We are welcoming international students back to the University with a generous discount of up to 5,000 pound off course tuition fees. Calling all international students who share our mission for the common good. Receive up to 15,000 pound full fee scholarship with the added benefit of paid work experience. The Magnusson Fund offers awards of up to 5,000 pound, supported by donors including Sir Alex Ferguson and Santander. You can apply apply to do literally anything, anywhere in the world. The sky is the limit. Marks & Spencer is fully funded scholarships are available for fashion programmes at the British School of Fashion starting in September 2018. Successful international applicants can receive up to 2600 pound to study a full-time postgraduate course at GCU. Students can receive up to 4,000 pound towards tuition fees for the MSc Big Data Technologies programme. This scholarship offers students studying MSc Climate Justice funding towards their tuition fees, students from the UK/EU will receive 2500 pound and International students will receive 6,000 pound. A Santander fee scholarship of 5,000 pound is available to study a full time Masters level programme at GCU. Postgraduate Research discount of 20% off tuition fees for all GCU alumni. This scholarship entitles fee paying students to a discount of 5% if fees are over 5,000 pound.